Born and raised in Rome, with German DNA and a diverse musical palette Ae:ther is an artist who has quickly established his pedigree as a formidable producer and selector through scintillating DJ sets and a batch of stunning releases. Now based in Berlin, the 29- year-old has returned to the motherland where he is steadily cultivating a reputation for haunting melodies and narcotic rhythms. With strong connections to Damian Lazarus at Crosstown Rebels and the Afterlife crew, Ae:ther has considerable industry support with his focus on delivering high-quality dance floor ready cuts that channel his love for ambient electronica and transmitting deep emotion, while keeping the energy levels high. Ae:ther discovered club music early in his life, inspired by Underground Resistance and the early Detroit sound, along with artists like Autechre, Brian Eno, Tangerine Dream and Miles Davis – pioneers who pushed boundaries. As producing and DJing became a daily obsession, he left Rome to go and study in Milan. It was there, at the Istituto Europeo di Design (IED) that he studied Sound Design and his lifelong commitment to the exploration of sound and vibration really took hold. From there he moved to London, a city where he matured and grew as an artist. After a couple of years he found a space at Fortress Studios in Old Street, where he befriended neighbours such as Bicep and assisted other artists with their music, his knowledge of sound design giving him the ability to add a whole other dimension to the artists he worked with. Six years in London gave Ae:ther all the experience he needed of life in a city that many consider to be the centre of the musical universe. In 2017, enticed by the prospect of expanding his network and pushing his career forwards Ae:ther moved to Berlin. There he joined like-minded collaborators Mind Against and Tale Of Us, alongside a whole crew of new friends, and immersed himself in the highly fertile electronic music scene. The Berlin lifestyle; liberal, inclusive and supportive of the arts, has fed back into Ae:ther’s love for production, and taken him to a whole new level of musical expression. 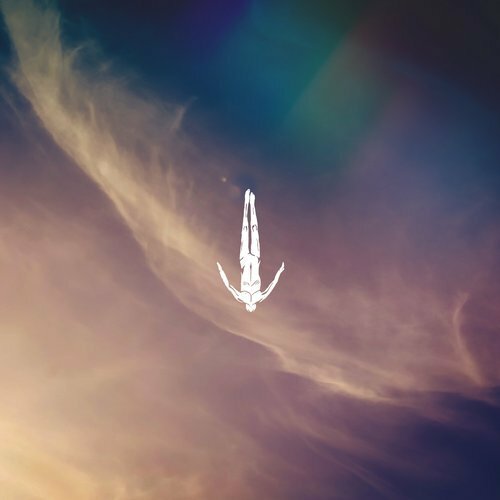 As a producer he has been blazing a trail, his natural aptitude for crafting emotive, captivating compositions landing him several releases with Afterlife, including his exceptional EP ‘Spectre’, which was released in July 2018. Ae:ther’s love for experimental, ambient music lies at the core of his distinct sound. Coupled with deep underground influences and a meditative atmosphere, he programs taut percussion and juxtaposes it with dreamlike soundscapes, telling mesmerising stories with his synths. This inimitable approach has brought him to the attention of one of the scene’s most influential figures, Damian Lazarus. He has commissioned Ae:ther to compose a remix of his exceptional single ‘All I Need’ with the Ancient Moons and has also signed his debut album. Another release with Afterlife is also scheduled for mid-2019. Besides that, Ae:ther has performed across Europe and is preparing to unleash his debut live set. A dazzling culmination of hours and hours spent on painstaking production and curation, the hour-long live show will showcase a wide range of Ae:ther’s largely unreleased productions; demonstrating his diversity and unparalleled talent. At the birth of electronic music its visionary pioneers wanted to soundtrack the future, now that future is here it’s artists like Ae:ther who take up the mantle and guide us into the unknown. As part of the new vanguard he is perfectly poised to do just that, so strap yourself in and prepare to be transported into the next century.